All packages will include use of the Spa amenities such as Steam, Sauna, Whirlpools and use of the state of the art Fitness Center for the day. We also customize packages upon request. 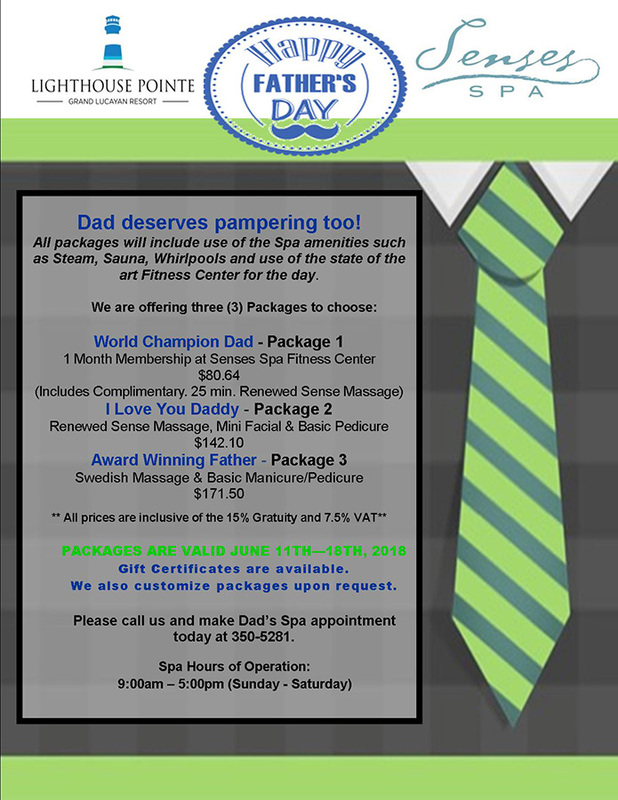 Please call us and make Dad's Spa appointment today at 350-5281.